Russian mining giant Alrosa has expanded its long-term customer list in 2019 within the three-year contract period 2018-2020 to include six more customers – Chow Sang Sang Jewelery (China), Kapu Gems (India), Mohit Diamonds (India), VD Global (India), M. Suresh Company (the UAE), and Richold SA (Switzerland). This bring up Alrosa’s long-term contracts number to 59. 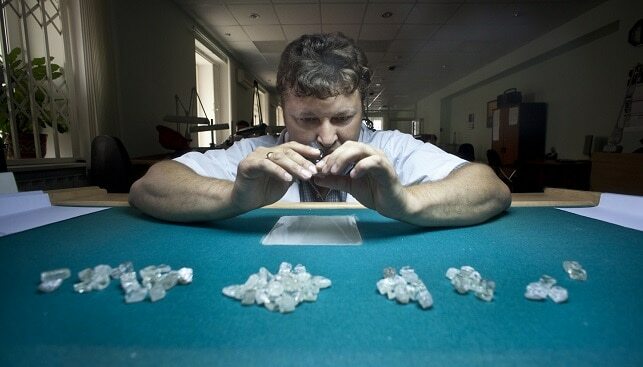 Evgeny Agureev, Director of the United Sales Organization at Alrosa, commented: “Long-term contracts form the basis of ALROSA’s sales policy accounting for up to 70% of sales of diamonds mined by the company. We confirm the inviolability of ALROSA ALLIANCE principles and are interested in diversifying our client base, which has grown compared to last year. At the same time, we focus on confirmed manufacturers of polished diamonds and products with them”. According to the company, “long-term contracts guarantee volumes and assortment of monthly supplies, as well as the possibility to purchase additional batches of rough diamonds”. According to several sources, Alrosa will stop supplying rough diamonds to LLD Diamonds, Lev Leviev’s company, as part of the re-organization of Alrosa’s long-term client list. The Israeli’s diamond firm is one of several companies to be dropped off from Alrosa’s long-term client for 2019.